ISRAEL - JUST THE FACTS: 9 Videos You Will NOT See In The Press Of Islamic Pogroms Against Jews In JERUSALEM! 9 Videos You Will NOT See In The Press Of Islamic Pogroms Against Jews In JERUSALEM! Israel is celebrating the Succot holiday and I wish I could share happy pictures and videos from Israel but there are pogroms happening in Jerusalem and you probably have not heard a thing from your news channels. Over the past month Muslims have been attacking Jews throughout Jerusalem and have been showing their real anti-Semitic face. A Jewish man who was returning from his Rosh Hashanah (Jewish New Year) dinner was stoned to death by Muslim terrorists, Jewish men and women visiting the Old City of Jerusalem were attacked with stones and Molotov cocktail bottles and Jews whose only wish is to pray on the Temple Mount were harassed, kicked, stoned and assaulted by Muslim terrorists. Let's stop beating around the bush and call what the Muslims are carrying out in Jerusalem by its real name; a full fledged anti-Semitic pogrom against Jews! It started with Muslim men, women and children screaming their heads off at Jewish worshippers and threatening them. There were those who said 'no big deal' - all they are doing is screaming and there are those who even had the audacity to defend the Muslim behavior as freedom of speech. The Muslim crowd had no pity on anyone and Jewish women and children were their next targets. The screaming turned to spitting and specific threats. Notice that the Jews who were attacked in the video below were not holding any Israeli flags! In fact, they are Ultra-Orthodox Jews who are not Zionists! They were on the Temple Mount simply to pray. This is exactly what anti-Semitism looks like for those of you who still have a hard time identifying the behavior of the Muslims on the Temple Mount! People were still excusing the fanatic Islamic anti-Semitic behavior and claiming it was just the radicals. Then the Muslim officers on the Temple Mount attacked Jews who only wanted to take a drink from a fountain on the Temple Mount. It is simply unreal how there are those around the world who claim Israel is an apartheid state and then excuse this blatant demonstration of Islamic racism and anti-Semitism. In case any of you are still under the impression that these Muslim terrorists are just a fringe sect, watch a Muslim ISRAELI Parliament member assault Jews who came to pray on the Temple Mount. This Arab, Muslim Israeli Parliament member who has more freedom and rights in Israel than he would in any Islamic regime assaults Jewish worshippers telling them to go to hell and that they have no right to pray on the Temple Mount! Of course when the IDF finally reacted to these acts of terror, the world press pointed a finger at Israel! I am so sick and tired of the blatant anti-Semitic behavior of the world! It happens every time and nothing ever changes! Israel is attacked and there is press silence, Israel responds and then the entire world gets up on their hind legs to blame the Jewish State for defending itself and winning! The videos above were horrific to watch but there were those who excused the terrorists' behavior with the excuse that Jews praying on the Temple Mount (the holiest place on Earth for Jews) is a provocation. If the videos above made you upset, the two that you are about to watch will infuriate you. Unlike the videos above that took place on the Temple Mount, the videos below took place in Jerusalem. The Jews who were attacked below were not walking to pray on the Temple Mount but were walking to pray at the Western Wall! Please do not tell me that the hatred aimed towards Israel is not anti-Semitic. Watch the videos below and explain what the settlements, occupation or any of the other justifications used by the Arabs to murder Jews have anything to do with the attack below! Watch this Jew get attacked as he walks to the Western Wall wearing his prayer shawl. Don't think for a second these Muslim terrorists are a branch of Hamas. They are the fruit of the official PA headed by none other than Abu Mazen, who last week commented on the current attacks that are taking place in Jerusalem. Israel's "peace" partner did not condemn the fascist behavior of Muslim terrorists but rather justified them. Abbas: We won't allow Jews' "filthy feet" to "defile our Al-Aqsa Mosque"
When anti-Israel activists use fake quotes from Israeli leaders I always demand they bring their source and video of the quote they are faking. My demand is usually met with four letter words instead of facts, so here is the video of the man the world calls a "peace partner". Yes! He did say pure Muslim blood and yes he also claimed Churches are theirs as well. JUST in case you thought these attacks were random, watch and listen to Abu Mazen explain his solution to the Jews who seek to pray at the holiest place in the world for the Jewish religion. The audacity of these Muslims knows no boundaries at all. In one case, a Muslim woman assaulted a Jewish man and the man was just not going to take it so he reacted. Here is the picture of a Jewish man who was portrayed as assaulting an innocent Muslim woman in Jerusalem. He sure looks like a crazy Jewish man attacking a very innocent Muslim woman, doesn't he? Now take a closer look at what this woman is holding in her hand! So what really happened? Watch the actual video below and see just how far Islamic Taqiyya goes! Jerusalem is under attack and the press is silent! 1. SHARE these videos with your communities and show the truth to as many people as possible! 3. 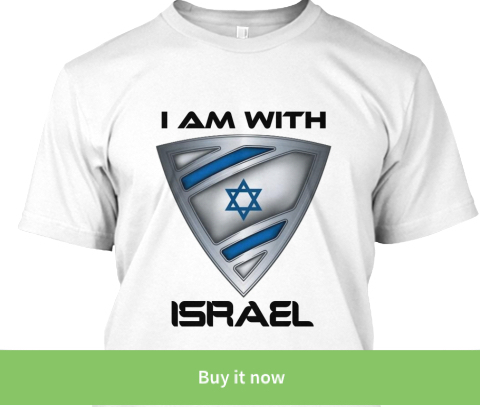 Come on over to the IsraelShield Facebook page and help spread the truth! 4. 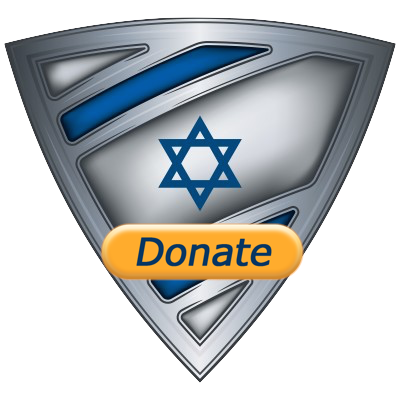 Sign the Jerusalem is Israel's eternal capital petition below!